Lately, I’ve found myself longing for a fun-filled, ridiculously overpriced trip to Las Vegas. Not having the time or funds to take said trip, I opted for the next best thing- watching 2001’s Ocean’s Eleven. This is one of the few films in existence that my husband and I both equally enjoy, and we never get tired of watching it. I’m hard-pressed to think of another film that combines such a great cast (not a single weak link in the bunch), a hilarious script, beautiful scenery (who doesn’t want to stand and gaze at the Bellagio fountains after seeing this movie? ), and masterful editing. This is the heist movie that you want to watch again and again because even though you know how the robbery takes place, you love to see it happening. 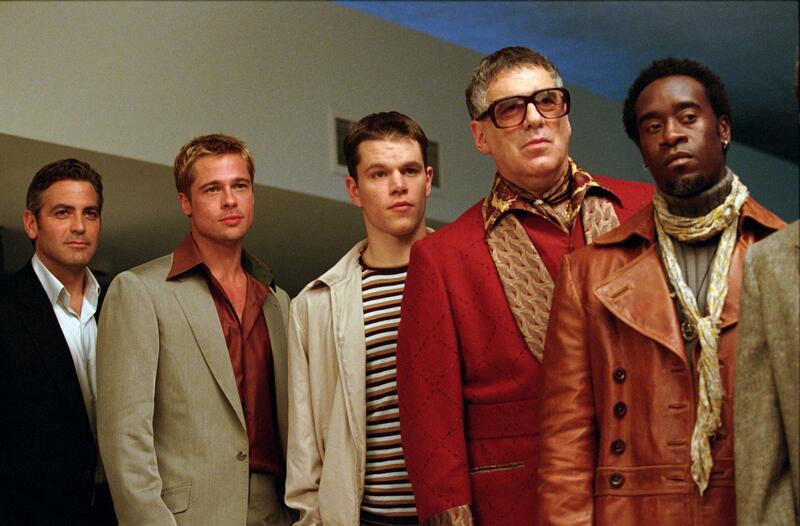 Although this film is chock-full of incredible actors, the member of Ocean’s Eleven who stands out the most for me is Brad Pitt’s character Rusty Ryan. I have to admit, I was not a huge fan of Pitt’s before this movie. I didn’t get what all the fuss was about. After seeing him in this, I am converted. Although the title of this film suggests that it’s George Clooney’s Danny Ocean who holds it all together, in fact it’s Rusty Ryan. He is instrumental in finding the right talent to pull off the biggest robbery in the history of Las Vegas, and he keeps the wheels spinning at all times. 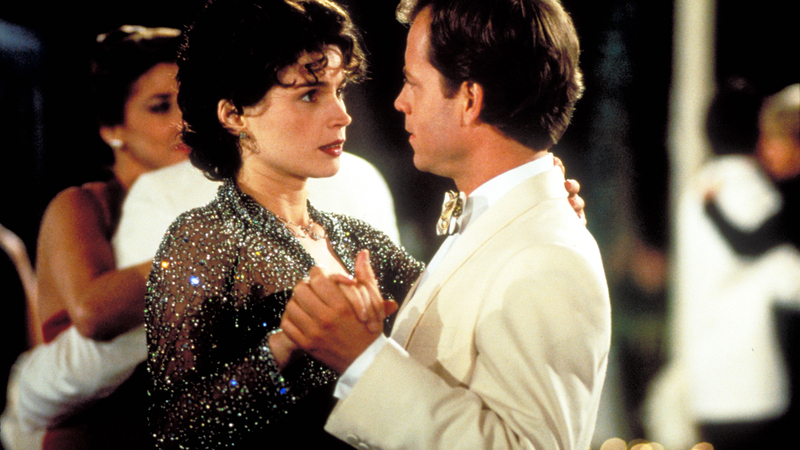 While Danny is off trying to woo back his ex-wife (played by Julia Roberts), it’s Rusty who keeps the plans churning. And his cameo (if we can call it that) as a badly-toupee’d doctor during the robbery is priceless. He makes the job look fun, which in turn makes the audience have fun. Combine the scotch and Drambuie in an old-fashioned glass nearly filled with ice cubes. Stir well. Garnish with a lemon twist. I like a Rusty Nail with this film because it makes me feel like one of the guys. I don’t know what role I would play in this group (sadly, I fear I’d be hanging out with the Mormon twins) but it’s fun to imagine being a part of this effortlessly cool gang of criminals who look great, are smart enough to pull off a $150 million casino heist, and have a hell of a fun time doing it. Also, I applaud them for their ability to drink whiskey and keep a clear head. I don’t know if it works the same for you or me, but here’s to at least joining the party. Cheers! 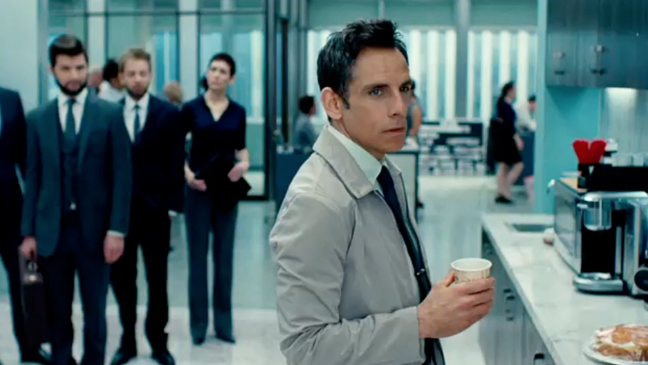 Posted in Action/Adventure/Heist and tagged Brad Pitt, Danny Ocean, George Clooney, Las Vegas, Ocean's Eleven, Rusty Ryan. Bookmark the permalink.